There are between 150,000 and 200,000 homeless veterans on any given night. Many of these veterans reside in temporary shelters, on the streets, and in other places that are not meant for human habitation. Veterans represent between 20-25% of the homeless population and include veterans from conflicts dating back as far as World War II. While many veterans and their families currently have housing, many are struggling to make ends meet and are thereby at risk of falling into homelessness. 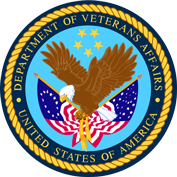 The U.S. Department of Veterans Affairs estimates that more than 300,000 veterans experience homelessness each year. Volunteers of America Southeast provides a variety of services and resources to veterans and their families, including permanent and transitional housing, case management, and assistance with daily living skills, finding employment, and accessing health care.